We’ve all heard about the demand for Organic food, to produce some of it we also need Organic feed. Organic grains make the market go round and today’s guest is helping educate us about it. 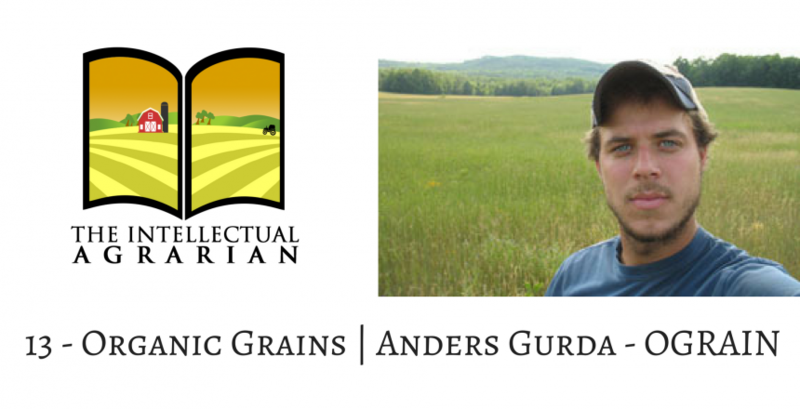 Our guest today is Anders Gurda, an associate researcher in Organic and sustainable cropping systems with the University of Wisconsin and is the Program manager of O Grain (the Organic Grain Resource Information Network). Together, we discuss what O-Grain does, the science row cropping systems and how small grains fit into the crop rotation puzzle, how mob grazing works, and I even learn a new word.